Love is in the (fresh) air! 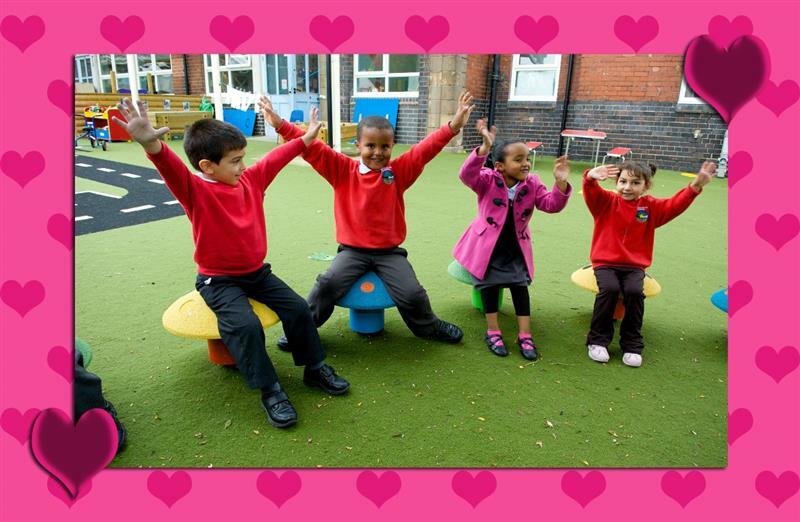 Valentine’s Day EYFS, KS1 and KS2 lesson ideas with love from us to you. 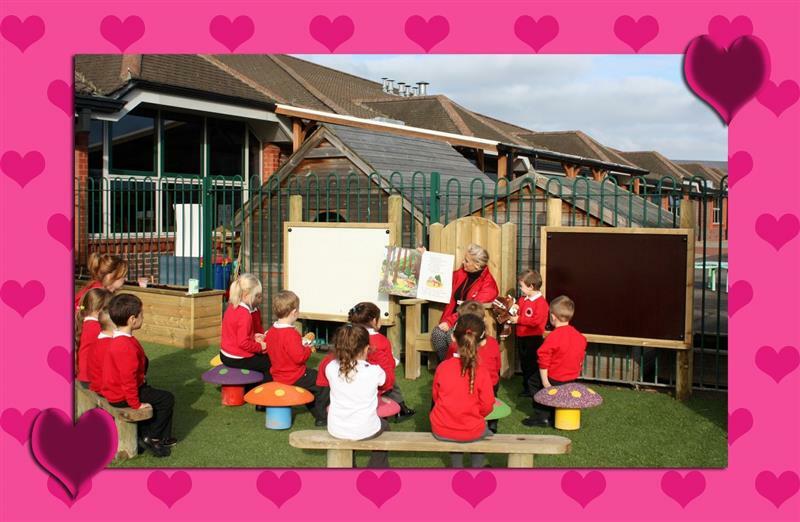 With Valentine’s Day just around the corner, we thought we would put together some love themed ideas to help you engage your children during lesson time. Valentine’s Day is not just about couples celebrating romance, it is a wonderful time to teach our children about the meaning of love, whether for family members, friends or pets. They should explore and share their feelings about what it means to be loved, and what it means to love and care for others. 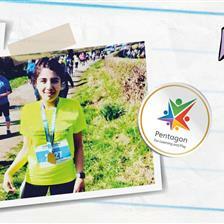 It is also a great opportunity to get them physically active and looking after their own hearts! Roses are red, violets are blue, here are some Valentine’s Day lesson ideas for you! Valentine's Day is celebrated on 14th February every year. It began as a celebration of early saints named Valentinus and many stories were told about them. The most popular is that of Saint Valentine, a 3rd Century Roman priest. In those days, marriage was banned by the Emperor Claudius II, because he believed that married men were too busy with their wives and were no good at being soldiers. St Valentine thought that this was wrong. He broke the rules and arranged to perform secret marriages for young soldiers and their sweethearts. The Emperor found out and was furious. He had St Valentine thrown in jail and sentenced to death. According to legend, while St Valentine was in jail, he discovered that his jailer’s daughter, Julia, was blind. St Valentine fell in love with Julia and healed her. The Emperor was impressed and went to see him. He told St Valentine that if he would convert to Roman paganism his life would be spared, but St Valentine refused and instead tried to convert the Emperor to Christianity. Because of this he was still executed, but before he was taken away he sent Julia a love letter signed “from your Valentine”. This letter is known as the original Valentine’s card and the expression is now used in Valentine’s Day cards across the world. Another legend tells that St Valentine was buried at the Church of Praxedes in Rome, and that Julia herself planted a pink-blossomed almond tree near his grave. Today, the almond tree remains a symbol of abiding love and friendship. Valentine’s Day was first recognised as a celebration of romantic love in the times of the poet Geoffrey Chaucer, when “courtly love” become popular. The love birds in his Parliament of Fowls written in 1382 are now symbolic of romantic love: “For this was on St Valentine’s Day, when every bird cometh there to choose his mate.” Medieval literature is full of examples of knights in shining armour setting out on adventures and performing brave services for noble ladies! But it wasn’t until the 17th century that Valentine’s Day became a time where people expressed their love for each other by giving gifts of flowers and confectionery and sending cards. This tradition has stayed with us, with love birds and hearts widely used as symbols of love on Valentines cards. The use of a heart to symbolise love has evolved over many centuries and nobody really knows exactly where it started. The Ancient Egyptians believed that the heart epitomized life and morality, and the Ancient Greeks thought that it controlled reason, thought and emotion. In Medieval times the symbol evolved to take on its current meaning. At that time, according to Christians, it represented Christ and his love, and they began to use the icon in art and literature. When Valentine’s Day began as a celebration of love, the heart symbol was the natural choice. Love communication, language and literacy……. 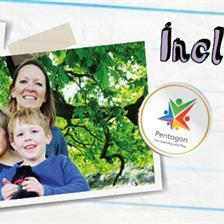 Gather all the children together at your Storytelling Circle for an open discussion about love. What do you think about the story of Saint Valentine? What does love mean to you and what does it feel like? Who and what do you love, and who loves you? What sort of things can we do to show someone that we love them? Children should be encouraged to express their feelings to others and learn what it means to be a good friend. 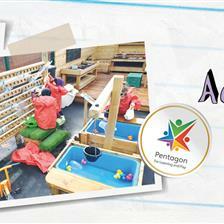 This is a key part of their own personal, social and emotional development throughout EYFS, KS1 and KS2. Opportunities for open discussion can also really help children who have English as an Additional Language as they get to explore vocabulary and pronunciation. Can you write a Valentine’s Day Poem? Why not have a go at writing your own Valentine’s Day poem just like Chaucer did all those years ago? Or how about getting crafty and making your own Valentine’s Day card with a beautiful picture and some special words in it for someone you care about? Do you have a Performance Stage? Encourage your children to have some fun dressing up and acting out the story of St Valentine, or make up their own play about medieval knights on horseback saving their queen from impending doom! A visual display is a really good way of showcasing a child’s work and boosting their self-confidence, as well as helping children who have English as an additional language to develop their understanding of English by relating vocabulary to images. Get a large sturdy piece of brown card and cut it out in the shape of a bare tree trunk with branches, about a 1.5 metres in height. 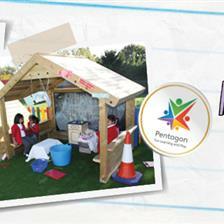 Stick it up on one of the walls inside your Playhouse as a main focal point. Set up a craft table inside the Playhouse with plenty of red and pink paper or card, coloured pens, tissue paper, glitter glue, pipecleaners, whatever craft items you like to allow children to cut out, design and make their own hearts. 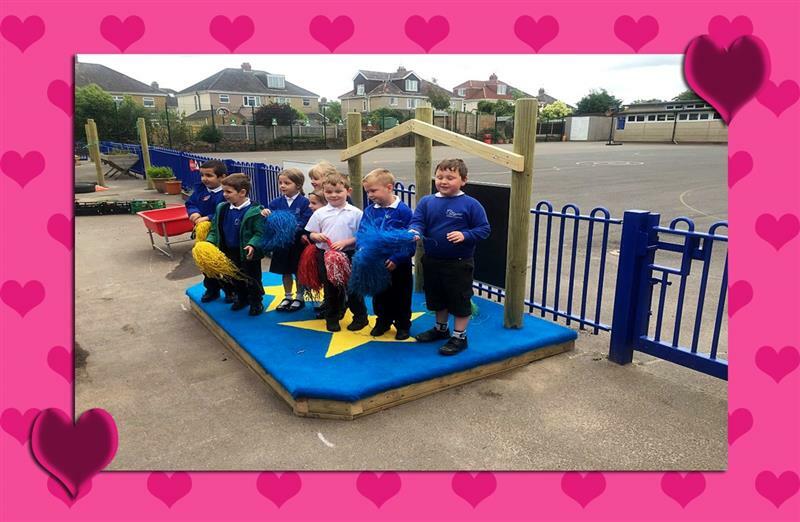 Send children into the Playhouse in small groups to make their hearts. They should draw the shape of a heart and cut it out themselves. Using a stencil is fine. Then ask them to write a message on their heart. It can be a message to anyone or thing they choose to tell them something about why they love them. Then turn their heart over and decorate it any way they like! This is a great sensory activity working on fine motor skills which is essential for EYFS pupils. It also allows children to be imaginative and creative, to put their thoughts into words and to work on their handwriting. Once their heart is finished, they can pin it up on the heart tree in the Playhouse until the tree is covered in hearts and resembles an almond blossom tree just like the one Julia planted at St Valentine’s grave. Let children go into the Playhouse in small groups to have a look at the tree and read some of the messages out when it is finished. 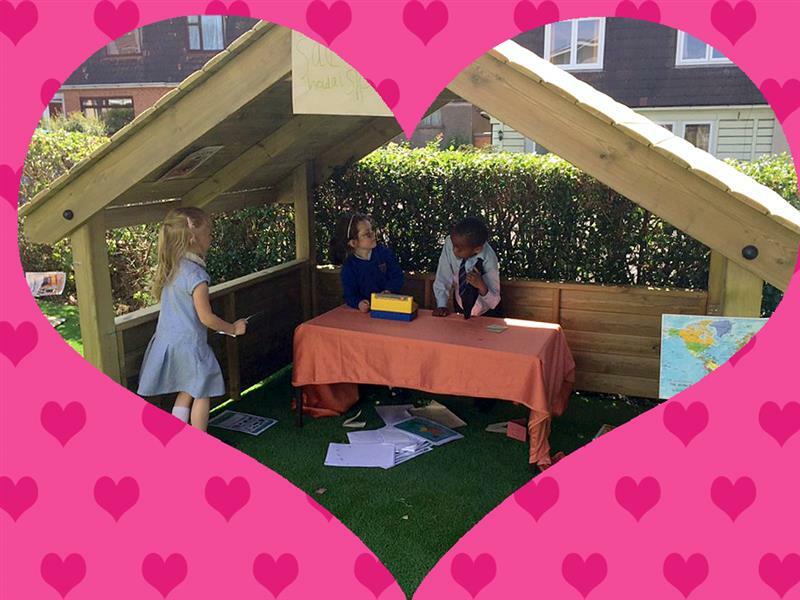 You could even play some love songs for the children to listen to inside the Playhouse while they are working, for a bit of musical inspiration! If there is enough space inside your Playhouse, set up another table where the children can decorate heart shaped biscuits with red, pink and white icing. They could make them to take home for someone special, or to enjoy together whilst listening to a Valentine’s Day story sitting on a rug underneath the Heart Tree. 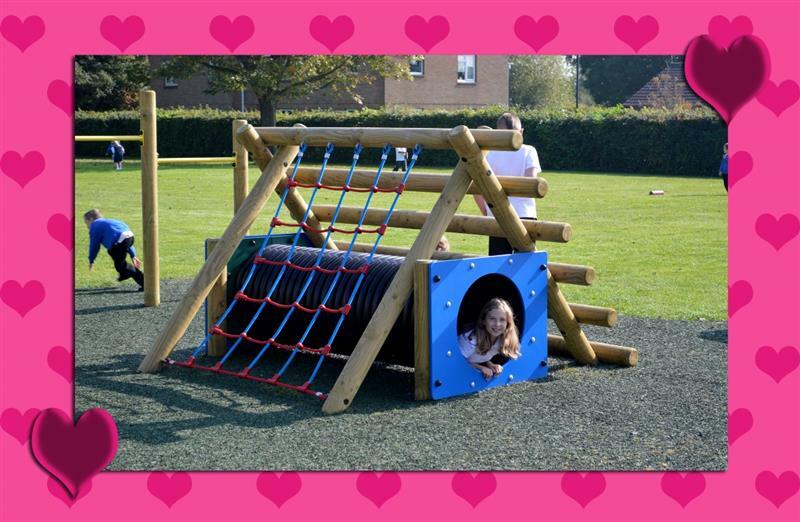 While we are on the subject of hearts, what better way of encouraging our children to stay fit and healthy and look after their own hearts by playing some Valentine’s inspired outdoor games! Here are a few fun ideas….. Stick little paper hearts all over your Playframe. Make sure you put some in really hard to reach places for an extra challenge! Then have a Heart Hunt and count how many you can collect! Draw a heart “target” in chalk on your Chalkboard or similar Mark Making Panel. Then draw a chalk line across the ground a few feet in front. Children stand behind the line and take turns throwing bean bags at the heart. Move the line back to make it harder. See who can hit the target and who can throw the furthest! If you have a Ball Shoot you could make heart shaped bean bags and let children have fun tossing them through! Musical Hearts! 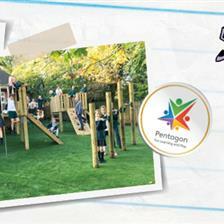 Stick larger paper hearts dotted around on your Playground Seating. Children can burn up energy dancing around the playground to music, but when the music stops, they have to find a heart and sit on it. Take one away each time and the winner is the last person left! We love our schools, and most of all, we love to hear from you! Drop us a line to tell us what your school has been up to this Valentine’s Day on our Twitter and Facebook page!